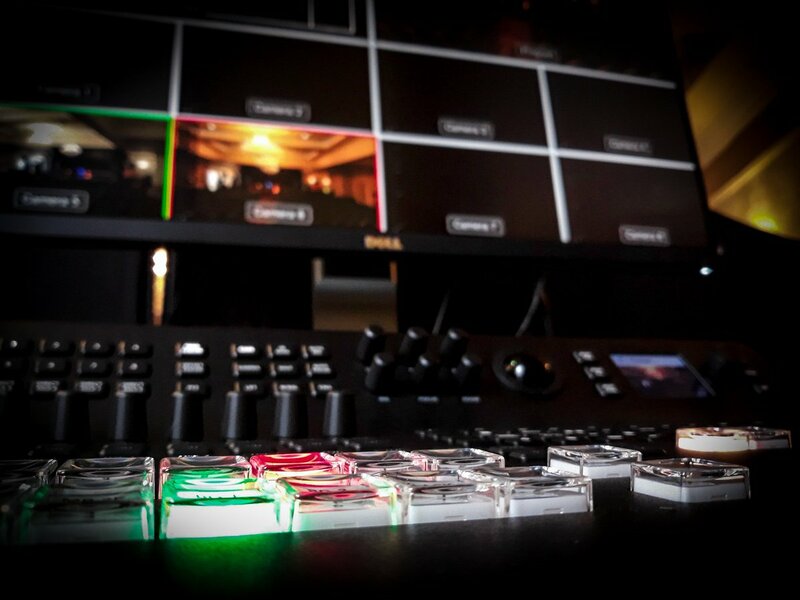 Vision Mixing can be an integral part of live event video recording. During a live event there can be any number of cameras set up, known as a multi-camera set up. For these images to be shown live on screens during the event we feed the signals through a vision mixer (sometimes called a switcher). The vision mixer allows the operator to see all the camera angels at once, and switch through each one while the action is happening. They can cut to any angle throughout the show, live and seamlessly; exactly like a TV show. Our mixer/switcher operators often double up as directors, using wireless headsets to communicate with the camera operators. They can direct the shots to accommodate the action and make sure all the angles are covered. The other advantage to live mixing your event is to have a finished video edit ready by the end of your event. We can record the same feed that’s being sent to the live screens to be used again at a later time. This can either be brought into the editing studio to finesse further, or if we have title sequences set up prior to the show so you can have a finished edit in a file right away. This content can be streamed or uploaded online at a later date, or used to create Blu Rays or DVDs. 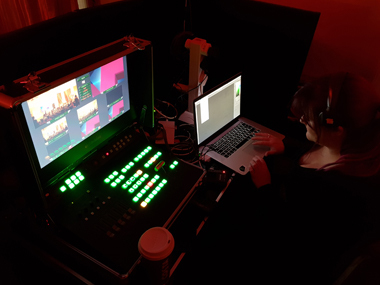 Live multi-camera video recording with vision mixing is great for conferences, hotels, music, live presentations and roadshows. Your guests can see exactly what is happening on stage from the best vantage points so they won’t miss a beat. Vision mixing can expand your visibility by enabling you to feed the content to various screens throughout your venue. We would love to hear from you and discuss whatever live event video needs you may have. Drop us a message on our contact form and one of our team will be right with you. Got an event? Need video? 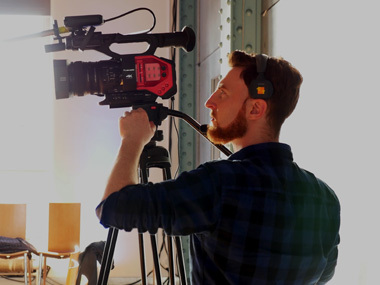 Head over to EventVideo.ie today!